Looking for a good blog editor? Bloggers around the world now have a new tool that makes blogging a little bit easier. 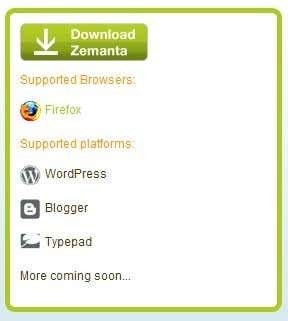 Zemanta is a newly launched tool that easily integrates into several blogging platforms. Typepad, Blogger, and Wordpress users can incorporate it into their everyday blogging needs. It will conveniently recommend links, pictures, tags and articles that are related to your current blog postings. The reason Zemanta can make such smart recommendations is because of the proprietary language and algorithms built into it. 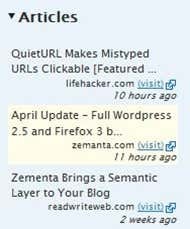 Zemanta produces its search results from within a large number of media sources and blogs from some of its users. 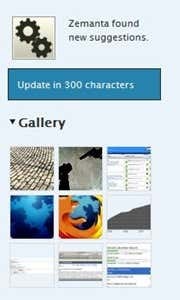 A vast number of images from Flickr, Shutterstock, Fotolia, and other photo websites furnish Zemanta with needed info. Users will not have to worry about getting into legal troubles when taking advantage of this useful feature. Content has been pre approved by the providers for regular consumer use. The setup process involves installing the necessary Firefox extension and then restarting the browser. At this time, Mozilla Firefox is the only browser supported for this blogging tool. After completing the installation process, you’ll have to visit one of the blogging platforms that support the service. Start posting your valuable content and then Zemanta will take care of the hard work. It quietly works behind the scenes making sure that only relevant information pertaining to your blog posts are shown. Once you start writing posts, you’ll quickly notice a sidebar on your editing page. It will contain tons of photo galleries and other content. This will make your posting process quicker and easier to enhance. Writing more content for your blog posts will increase the recommendations from Zemanta. For the best results, make sure that your blog posts are at least 300 words and it is only available in English. In the future, there may be more changes to this blogging tool. Instead of having to search for photos or content all over the Internet, let Zemanta do the legwork for you. This is a cool blogging tool with a lot of potential. When I first started using it, it had a few bugs and the sidebar did not want to populate. After refreshing the page, it appeared and started working properly. Although there are a few bugs in Zemanta, I am still impressed by it. Using Zemanta to work with my blog posts has helped me shave off some excess time. Anyone looking for a useful tool while blogging should take a look at Zemanta.